One of the things that has prevented a lot of money changing hands in the past is the fact that technology hadn’t necessarily caught up with opportunity in the financial realm. Money was transferred through cash, or sometimes by physical checks. But today, there are lots of fantastic ways to accept money digitally, which opens of tons of new and more efficient ways of doing business. Consider that getting donations is far easier now, and that you can create online tip jars, and that there are hardware and software combos that work with your phone to do point-of-purchase sales, and that PayPal and direct bank-to-bank transfers are now easily available. All of these things create a much more lucrative commercial web for people to work with. Accepting donations has been a problem in the past for a lot of great institutions. The issue was always that it wasn’t necessarily easy for people to donate. Cash had to be handed over, or checks had to be signed, or other complicated methods had to be used. Now, online donations are a simple as a single click in many instances. The easier you make it for people to donate, the more donations you’re going to get; it really is that simple. If you have an online blog, you can create a tip jar with a few lines of code. Typically, when your readers click on a certain link you have set up, they’ll be taken to a page where they’ve previously set up their bank info, and a few seconds later, they’ll have dropped however much of a tip they want straight into your digital bank vault. Again, it’s all about ease of use in this case. 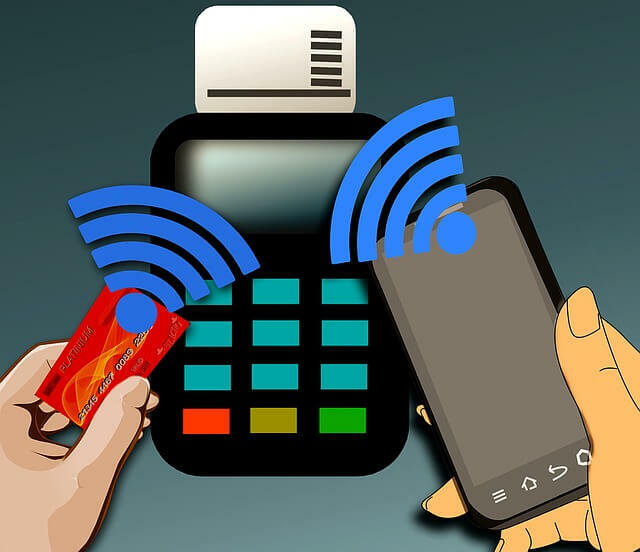 Having a cash register or credit card reader with you used to be a pain, but new technology allows small and efficient hardware and software combinations to give you point-of-sale options no matter where you are, as long as you have a mobile device and an internet connection. If you have a PayPal account, and someone else has a PayPal account, then you can transfer money back and forth for free, instantly. This has been one of the best things to happen on sellers and buyers, as it takes out a ton of the hassle that used to occur when trying to exchange money for goods and services on the go. And finally, if you and someone else have bank accounts through the same company, there are often ways to accept money without any fee simply by doing a direct bank-to-bank transfer. With mobile apps now connected to many banks, this is also a very simple way to efficiently handle financial transactions easily and effectively.